Pasta is an important part of daily life (that’s a scientific fact- go ask the guys at NASA! ), and I rarely go a few days without eating some form of pasta. Making (sometimes from scratch) and eating all this pasta means I’ve done a considerable amount of crazy stuff with it. And once in a blue moon, the crazy stuff turns out to be surprisingly good, like today’s ‘peasto’. 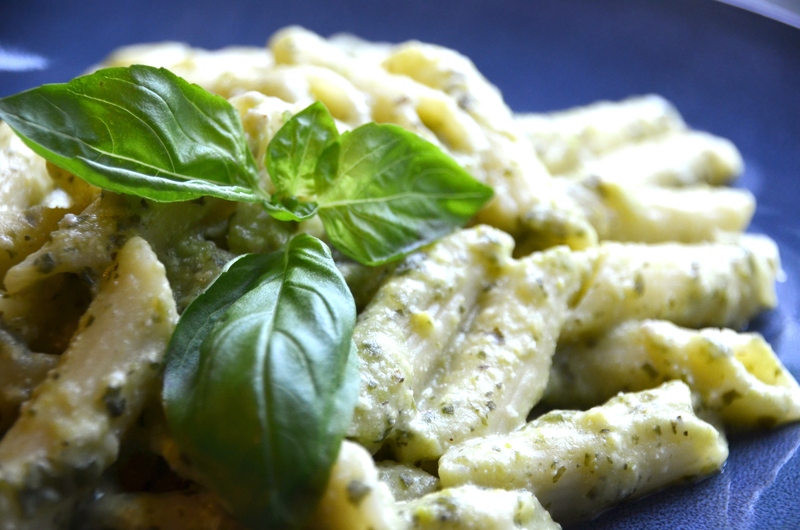 With pasta, the sauce is either green (pesto), white (cream), or red (tomato). These three colours are also the colours of the Italian flag- coincidence? But the other thing with pesto is this- it ain’t cheap. I don’t know about the rest of the world, but pine nuts and fresh basil are ridiculously priced where I live. The result? Making a batch of pesto for dinner costs as much as going out for a meal. That, or you butcher the lonely basil plant which has been eking out a miserable existence on your windowsill. But a girl’s gotta have her pesto, and I don’t give up that easily. Enter today’s star of the show: sweet peas. While almost everybody I know seems to dislike sweet peas, they are dirt cheap, and I promise you won’t taste them in here. They’re just here to form the base of our pesto alongside some sunflower seeds. 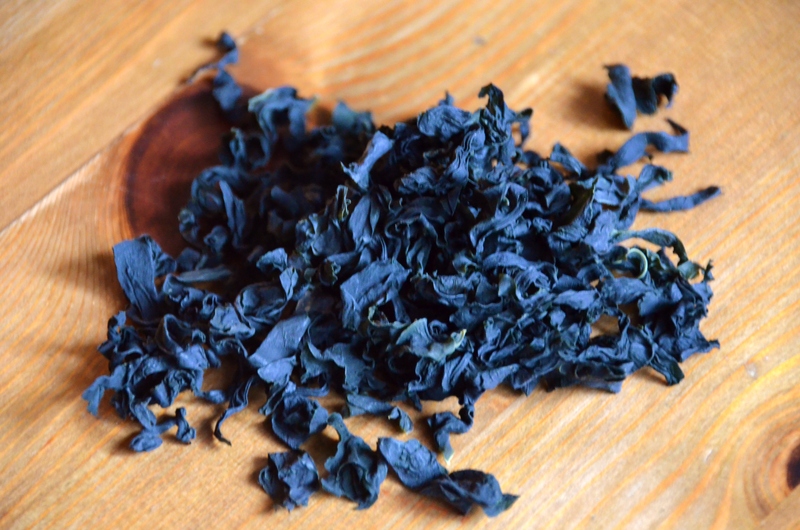 What you’ll be tasting instead is wakame and (dried) basil. But what the heck is wakame? Wakame is a type of seaweed. When you go to a Japanese restaurant, you might spot some wakame in your bowl of miso soup. It has a salty and umami flavour that is reminiscent of the ocean. It’s also really rich in iodine, magnesium, iron, and other minerals, so it would be a good idea to get your hands on some- it’s nature’s mineral supplement! Since we’re already going off on a tangent with our pesto recipe, it doesn’t hurt to add some unorthodox wakame goodness as well. Of course- if you don’t like it, or don’t have it, feel free to leave it out. The recipe will be just as tasty. 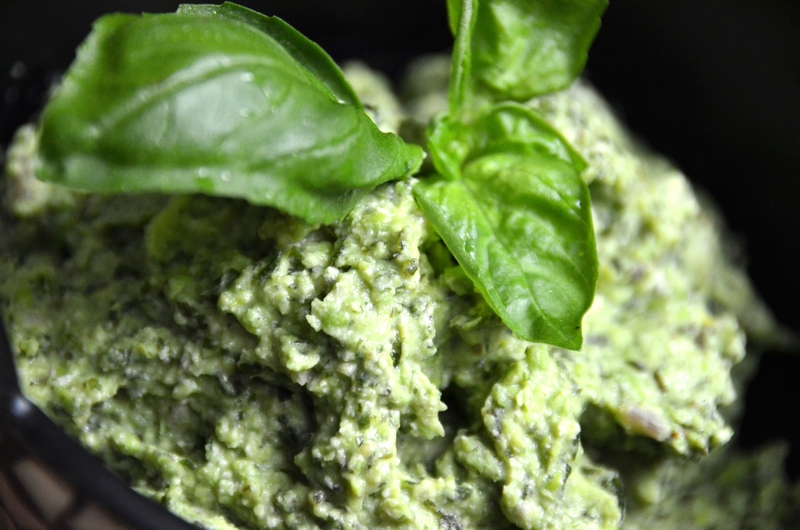 Making pesto can’t be quicker or easier. Just dump everything into a food processor and whizz it up. You could use fresh basil if you’ve got it, but I only dared pick a few leaves off my plant to use as garnish- I really am not the best with plants! In the recipe below, I’ve also included a ‘hack’ for cooking pasta. Drop your pasta in, and switch off the heat once it returns to a boil. Keep it covered and there will be enough heat in the water to cook your pasta in the same amount of time. Same results, but less energy used. Add frozen peas and water to a saucepan and bring to a boil. Using a slotted spoon, transfer the peas to a food processor. Season the water generously with sea salt, and add in pasta. Cover and allow the water to return to a boil. Switch off the heat and set aside. To the peas in the food processor, add sunflower seeds, garlic and wakame. Process for 1 minute, or until creamy but not entirely smooth. If needed, thin out the consistency by adding water. Add in the rest of the ingredients and pulse to combine. Season with sea salt to taste. 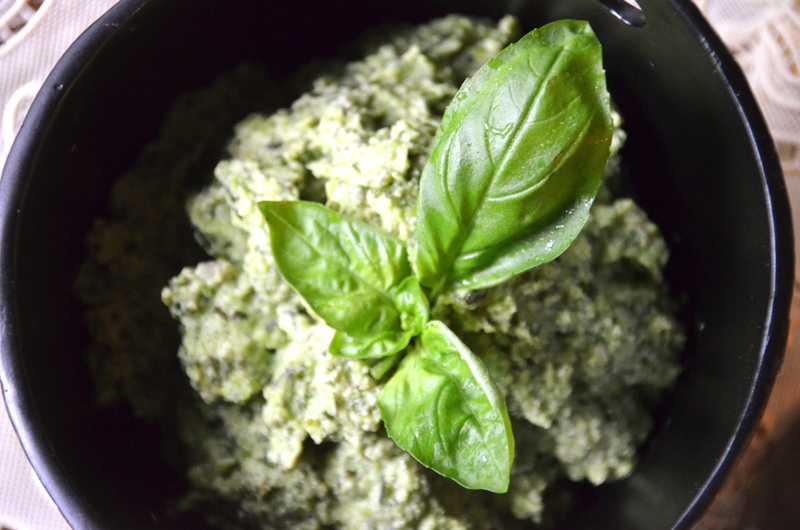 When pasta is al dente, pour off the water and stir in spoonfuls of pesto over low heat, until evenly combined. BTW, how do you make your noodles? I’d love to give it a try as well. Wow this is a delicious recipe, love the results!